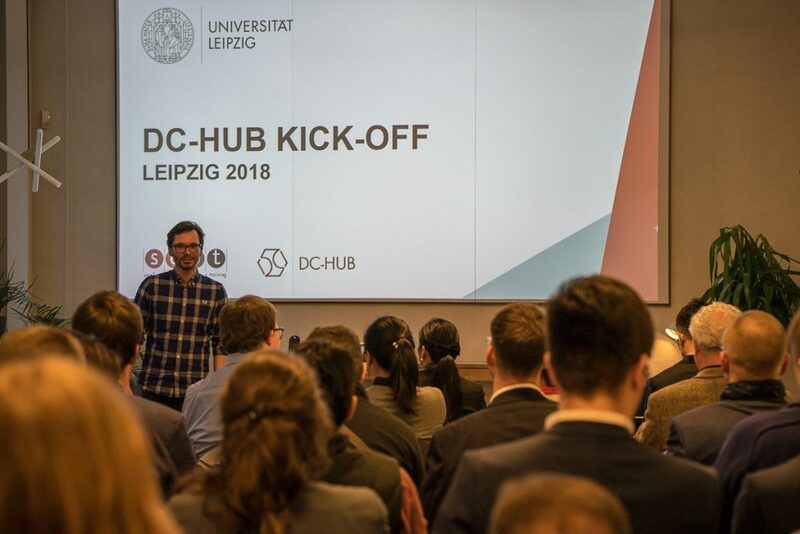 On March 28, 2018 we reached the first major mile stone of the DC-Hub project: The DC-Hub Kick-Off Event in Leipzig, Germany. With 5 speakers and over 60 participants we are very happy about the reception. Building up to this one evening we had worked hard to get everyone together and arrange partners, speakers, a host and support from many more. The days preparing for the event have been busy but we never forget the No.1 rule for starting a business: Do what you love and you will love what you are doing! Our two VIP speakers from Shanghai & Ningbo, PR China where given a tour of the local co-working- venues & culture as well as businesses in Leipzig. The start-up and fast moving character of the city was obvious to our guests. In Germany, Leipzig is the fastest growing city at the moment accelerating to become the new hub for start-up culture and innovation. DC-Hub will support start-ups from Germany and China to build competence for the Chinese or German market. It also will support flights, co-working seats, network access, events and workshops for a limited number of German startups or SMEs for a duration of 3 weeks in China over the next three years. They can explore the market, test their products, meet VCs or Angel Investors, build an initial network, learn the culture, build up a feel for the economy and hopefully land some significant leads to grow their idea and businesses. This is basically everything that DC-Hub is about! We are eager to give everyone a shot at this amazing economy and country. Some ideas, innovations and products might even work better and faster in the Chinese market than anywhere else!? The network is build to support start-ups and SMEs in many ways. One focus is on innovation and science. The graphic left shows the structure of the DC-Hub network. However, people forget that an innovation in a business can come in many ways, not always as a new product. You can be innovative in business strategies, new ways of management and even new markets. To be prepared and to know your way around, that is competence and skill that preps you to be successful in the new market. DC-Hub will hold workshops to prepare and build this exact competence for anyone interested. The workshops are open for every start-up and SME that is interested. We start with a workshop for German start-ups and SMEs that think about entering in one or another way the Chinese market on May 3 & 4. In two days we give you a basic skillset and competence that equips you with a starting base, from which you can start your ventures in this market. So like in an accelerator you will get prepared but you also will be within a great network of many partners and supporters. 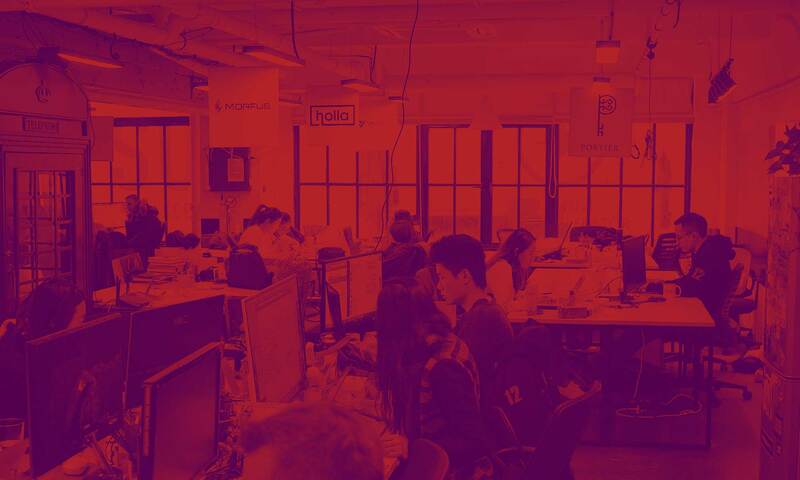 Hence, you could say that DC-Hub is a network that goes beyond an accelerator. For everyone who wasn’t able to attend our Kick-Off in Leipzig last week some impression of our key speakers follow. We from DC-Hub want to thank again everyone that supported us so far and of course the speakers for our guests from China to make their long way to Germany this time. Special Thanks to the Basislager Co-working Leipzig for hosting the Kick-Off in Leipzig. DC-Hub is funded by the German Federal Ministry of Education and Research. Vincent Shu from PozibleTech talks about his experience and success to enter the Chinese market as a start-up and link it to his Australian based business. He emphasises the generation-change in China that becomes more and more important to international as well as national start-ups. 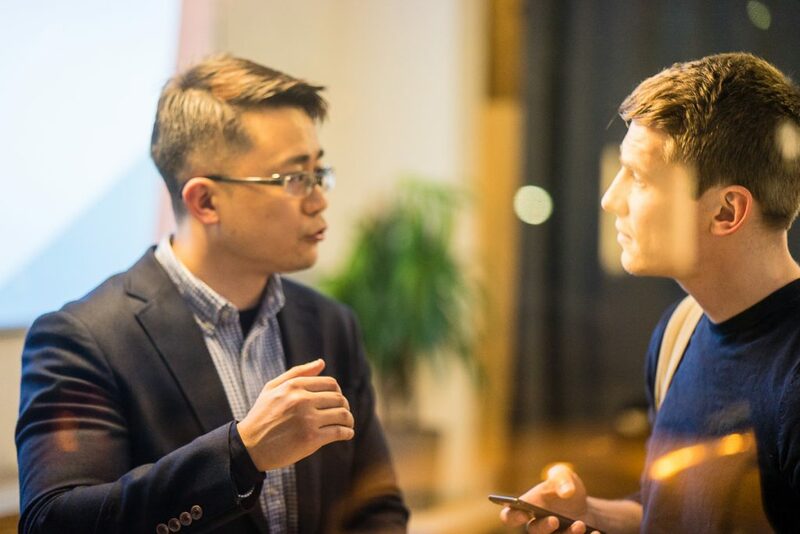 Bruce Gu from People Squared Shanghai, one of China’s biggest and the oldest co-working spaces explains the specifics about China to an interested participant of the DC-Hub Kick-Off event. 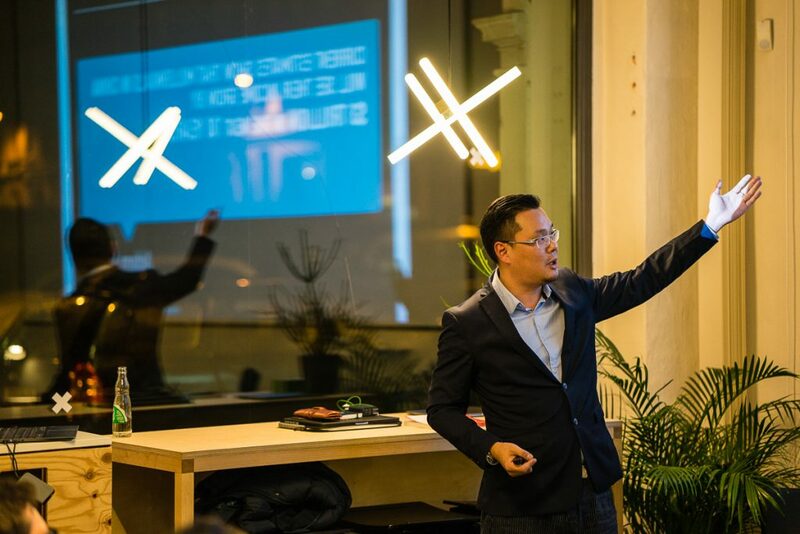 Bruce Gu sold his start-up and joined People Squared Coworking where he was located with his company before. „China now is the place to be for international start-ups“, he says. Steve Uhlig from the University of Leipzig (SEPT) introduces the DC-Hub and explains how start-ups can join. 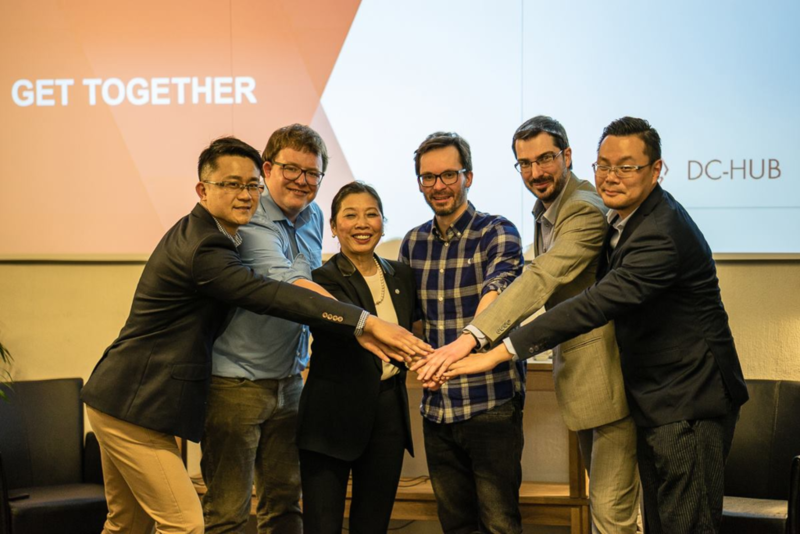 For the most innovative, most interesting and marketable start-ups and SMEs he holds an ace up his sleeve: The DC-Hub will sponsor most of the accelerator trip to China! Interested start-ups and SMEs can sign up for application here. The workshop is the first step in the process, open to anyone interested. The icing on the cake: it is for free as well. Martin Gothe from J.A.M Universal Trade & Distribution gave an introduction to China for „Starters“. Especially interesting was the history of the first real German-Chinese business relationships dating back to the 19th century. Nevertheless, the future holds many very interesting opportunities for start-ups and SMEs ready. The company J.A.M Universal Trade & Distribution is one of the key organiser & partners of DC-Hub. 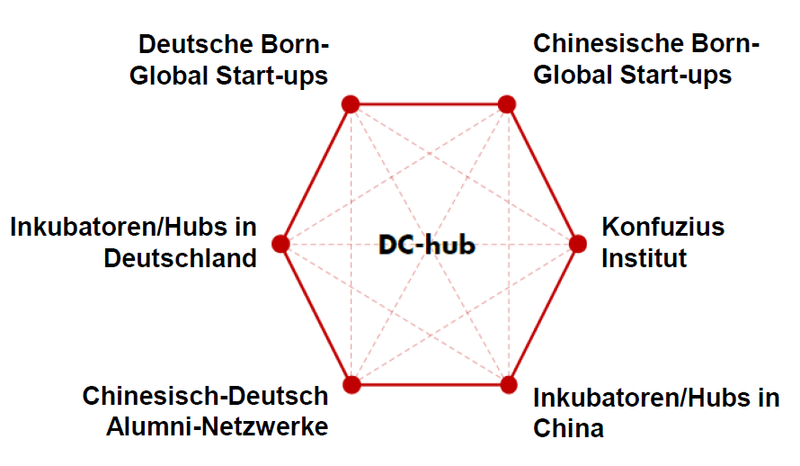 All start-ups and SMEs that are interested to explore the opportunity of China can from now on apply for the DC-Hub program at http://dc-hub.de/china-business-start-up-clinic/ . This will enrol you for the Workshop start-up Clinic that is part of the program. This workshop is, as previously mentioned, free of charge. For further information you also can write an e-mail.